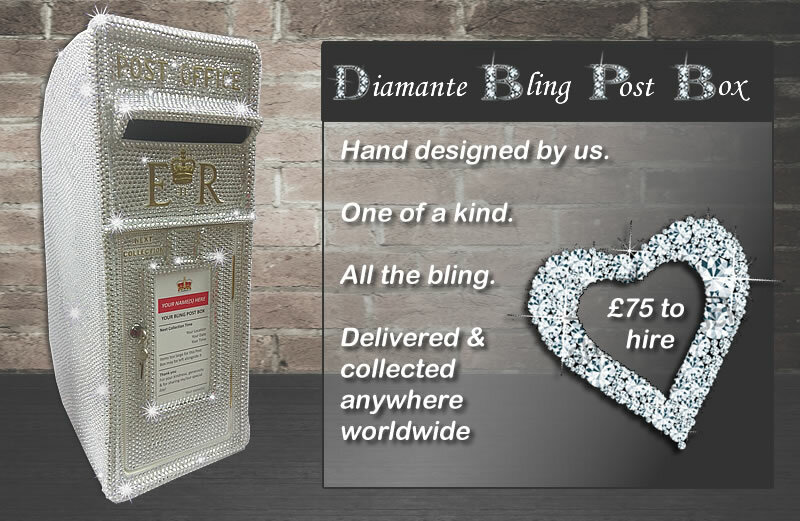 Studded with 1000's of individual diamantes this is the only one of its kind in the world and will make the ultimate statement at any occasion. 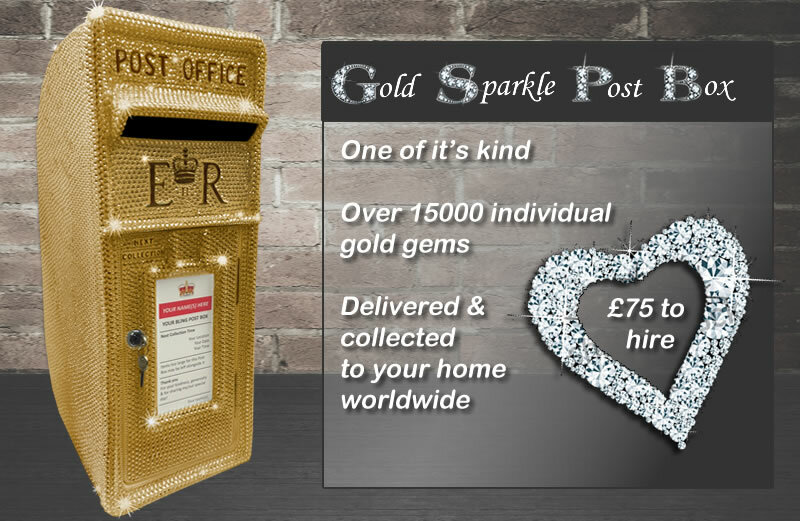 Click here for more details and check availability. 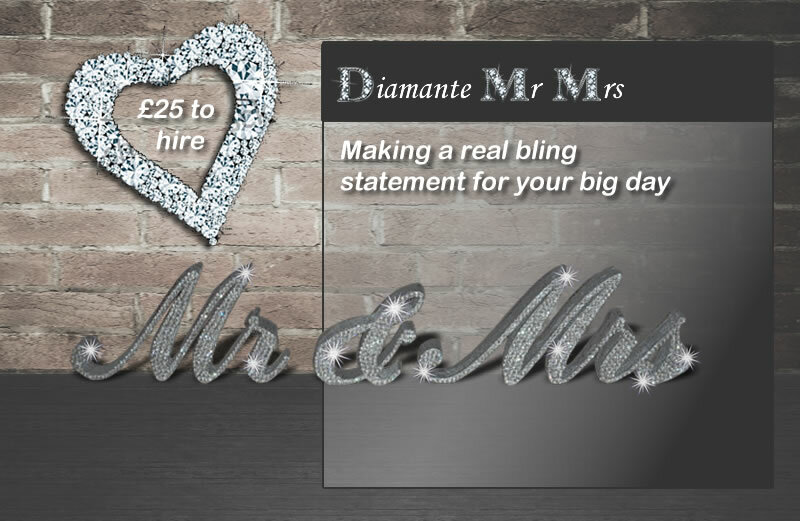 Studded with 1000's of individual diamantes this Mr and Mrs Diamante bling wedding sign will make the ultimate impression on your big day. Click here for more details and check availability. 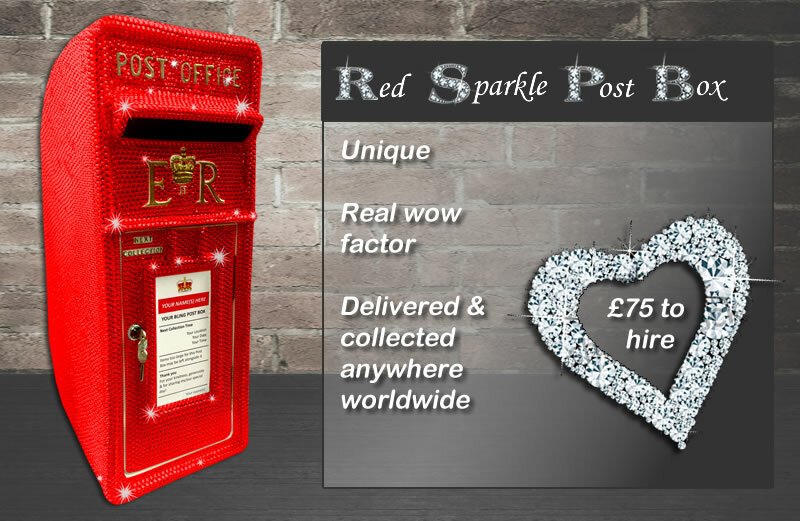 Our red sparkle post box for hire. 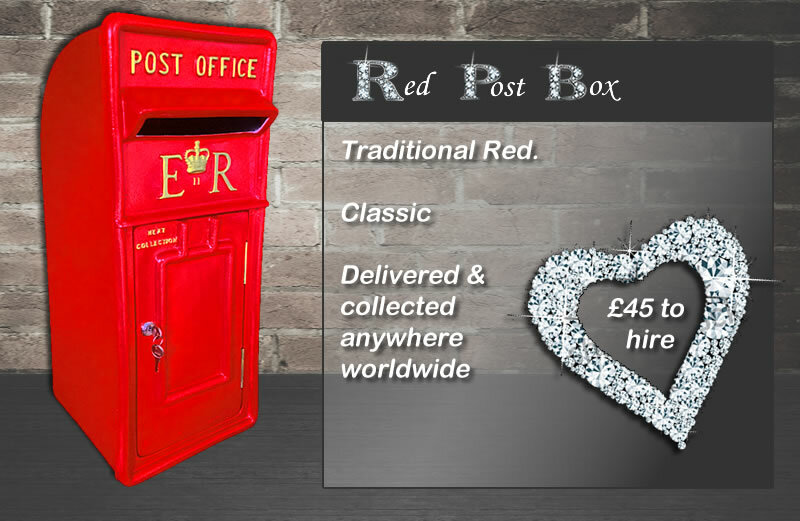 Studded with 1000's of individual red diamante stones this is the only one of its kind in the world and will make the ultimate statement at any occasion. Click here for more details and check availability.